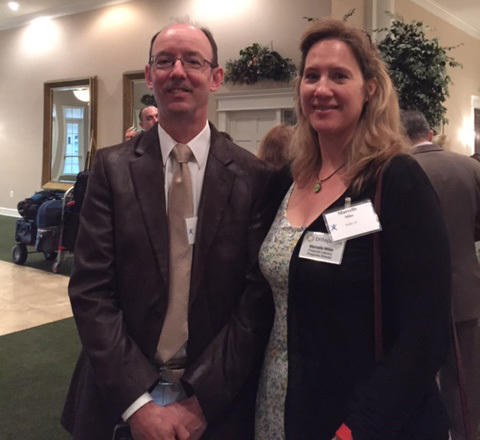 A huge congratulations to Britepaths' 2016 Fairfax County Volunteer Service Awards nominees! 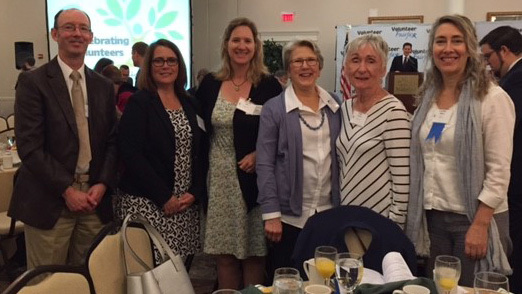 We celebrated with them on Friday, April 21 at the official ceremony hosted by Volunteer Fairfax honoring a host of amazing volunteers who serve our community. In the photo are: nominated Financial Literacy volunteer Jim Deal, Naomi Project Manager Jill Beres, Financial Literacy Program Director Marcelle Miles, Naomi Project Co-Director Betty Ann Wilkins, Naomi Project Founder Peggy Ferguson and nominated Naomi Project volunteer Caroline Hillkirk. Caroline Hillkirk became a Naomi Project Mentor in 2006 and has provided invaluable service as an Area Coordinator since 2008. Caroline works with approximately five trained Naomi Project mentors, and in that capacity, she oversees their mentor-client matches. Caroline speaks Spanish fluently, and this skill has been a huge help to both mentors and clients, as the number of clients who speak Spanish often outpaces the availability of bilingual volunteers. 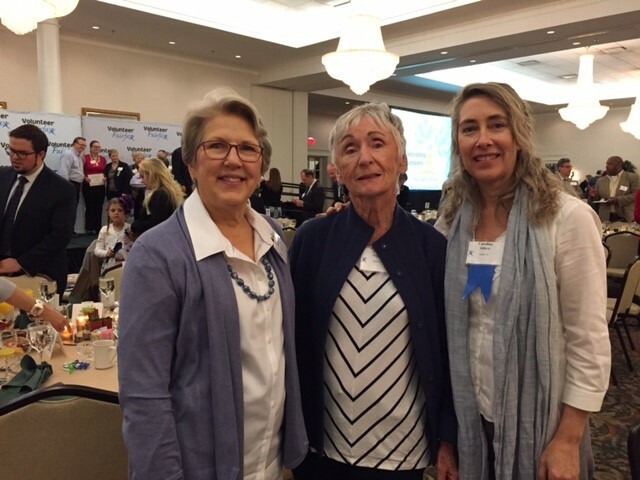 She is at right at the award ceremony with Naomi Project Co-Director Betty Ann Wilkins (left) and Naomi Project Founder Peggy Ferguson. Jim Deal, with Marcelle Miles, is an outstanding volunteer Financial Mentor, who in addition to mentoring clients also provides invaluable assistance to our staff by communicating regularly with clients who are waiting to be matched with their Financial Mentors so that they're prepared to really take off on budgeting and saving once they're matched. Jim initiated this concept last year, and texts each client who is participating every day of the week, meaning he is volunteering for us seven days a week. We estimate he has volunteered more than 700 hours in the seven years he's been with us. He volunteered 268 hours in 2016! 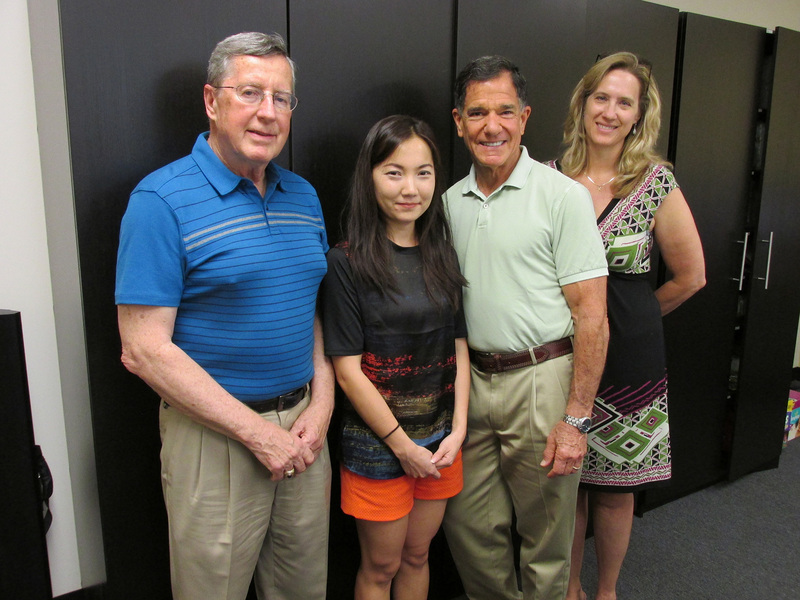 We nominated volunteer Financial Mentors Rick Leino (left) and Ken Kozloff as a team for a Voluteer Service Award because they have done so much to help our clients, and also devoted significant work to helping us standardize our training for new Financial Mentors. They were not able to be with us at the ceremony. While they each also volunteer individually, together they have provided a powerful team of experience and financial expertise which supports the Britepaths Financial Literacy Program. Ken and Rick have been an integral of the development of an in-depth curriculum for training new financial mentors as they come on board at Britepaths. Additionally, They teamed to develop a webinar on “How to be a Financial Mentor” with a Massachusetts nonprofit partner called EmPath.org, which was the first time Britepaths had ever been invited to participate in a webinar. With them in this photo is Bolor-Erdene Yura, who would have also been nominated as part of this team if she were not back in her home country, Mongolia. Financial Literacy Program Director Marcelle Miles is at right.